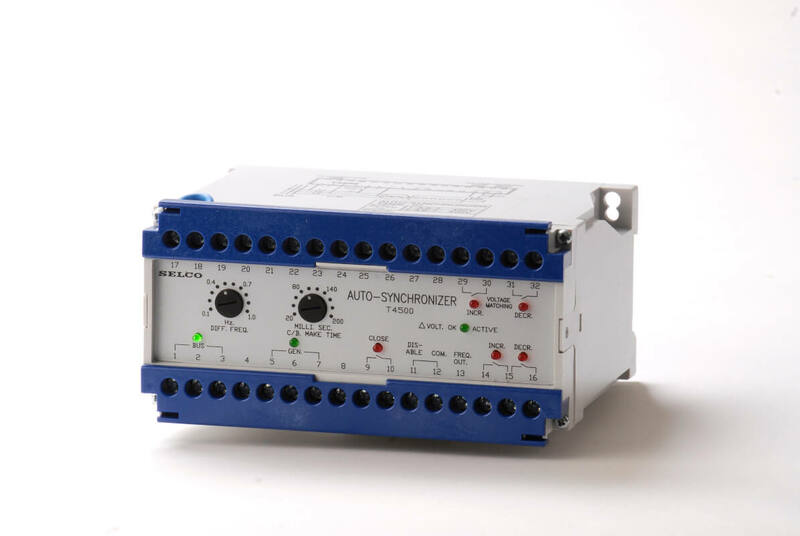 The Auto Synchronizer T4500 for Conventional Governors provides automatic synchronization of an incoming generator to a busbar in a minimum of time, by controlling the speed via the electric servomotor on a conventional speed governor, or by controlling an electronic speed controller via an intermediate motorized potentiometer. The T4500 measures the voltage across two phases on either side of the circuit breaker in order to obtain data on frequency, phase and voltage deviation. The T4500 will continuously adjust the generator speed until frequency and phase is within limits. The signal to close the circuit breaker is issued just before phase accordance is obtained. This is done in order to compensate for the circuit breaker make time.